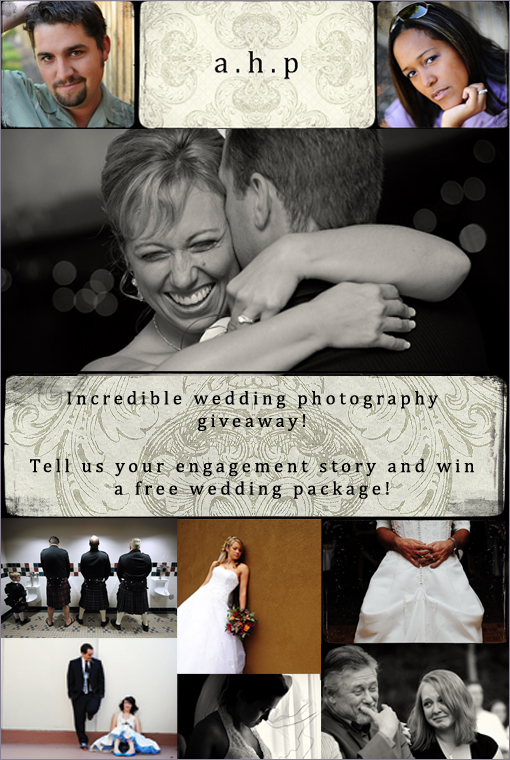 Adam and Imthiaz of AHP Photography are giving away an amazing wedding package. An engagement session, 8 hours of coverage and a 20 page story book album. All done by internationally award winning wedding photojournalists. All you have to do is email them your engagement story along with a few other details. Be sure to submit your story by the 20th of January. For more amazing photos be sure to check out their blog. We cannot wait to find out who the lucky winner is!